London is a vast city that is sprawling and filled with millions of people and businesses. How can you use affordable London SEO services to get heard above all the noise? Simple. You need an expert team of SEO professionals who are familiar with the challenges of being found in a vast metropolis. Experts who can take a scientific view of your site, review what is and is not working for you and then dive even deeper to investigate what your competitors are doing. Getting to grips with search engine optimisation can seem like a fun challenge, how complex can it be? This is often the cry of new businesses but the savvy business owner or executive knows, it is far from a simple pursuit. Staying ahead of algorithm updates alone can be a headache, understanding your customer behaviour in terms of what keywords they may use to find you and which hold the most power not in terms of volume but in terms of which are the most relevant and likely to generate revenue for you. An expert can shed light on this, an expert team has even more knowledge to call on for you. Business moves incredibly fast in the city so your SEO London services provider must be able to catch up! London SEO services do not need to bring you out in a cold sweat when it comes to pricing. The pricing should be seen as an investment as when done correctly, SEO makes you more money than the service costs. A good SEO provider should be able to give you a timescale to expect results and working with you, make fiscal sense of what those results will mean to the bottom line for your business. An average digital marketing return on investment, should be north of £4 return for every £1 spent. It does depend on your business and the team at Haych Enterprises Ltd can help you work out what your London SEO ROI would be. So how do you calculate the cost of your London SEO services and ensure it makes sense? Well firstly, affordable is not “cheap”. Cheap SEO services are created in the mindset that the SEO agency will get paid for a finite amount of time and when the results do not come, they expect and indeed plan for you to leave! Work with a London SEO agency who understands your business by taking time to learn with you. You are the business experts, they the SEO expert(s) and working together should create a powerful partnership. 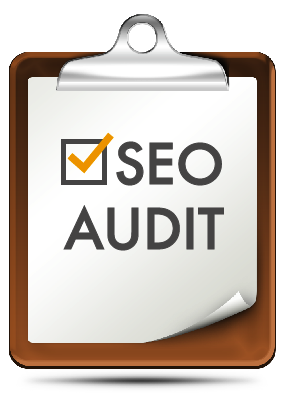 Get a free SEO review – sometimes called an SEO audit. Let them take a look at now compatible your site is with search engines like Google and how your business compares to others in London and areas you wish to serve. SEO Reviews Should be FREE. What Makes A Good London SEO Agency? A good agency will be looking at a variety of different aspects to ensure your business gets optimised. This includes reviewing your content to ensure it has the vert best keywords included. Keywords that your customers use and are at the right point of the buying cycle. They should look at elements known as on page optimisation, off page optimisation (which really means Links!) and putting this all together to create a successful London SEO recipe to get your business visible and ranking well in the search engines. Whatever your business and your presence on the Internet, regardless of whether you’re selling on a local, national, or even multinational or global level, if you want it to succeed then digital marketing is essential. A core element is to use Search Engine Optimisation as a critical component of your marketing efforts. We are a dedicated and specialist London SEO company and we fully understand that getting SEO right can be hard. In fact, it can sometimes feel impossible! Our team have more than 25 years expertise and experience in helping all sorts of businesses get the most from their SEO and we just offer the kind of SEO services London businesses are looking for.